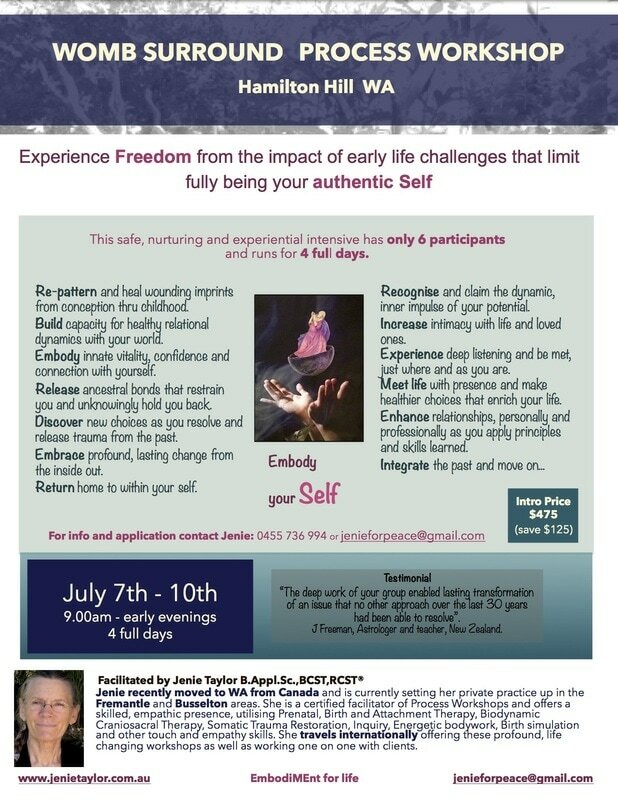 Would you like more peace and freedom in your life? Join us and question your thinking in this safe circle of friends. As a group we get to see how much in common we have as we gently inquire and unpack our beliefs using the 4 questions and turnarounds of “The Work”. Find out for yourself if what you believe is true or not. 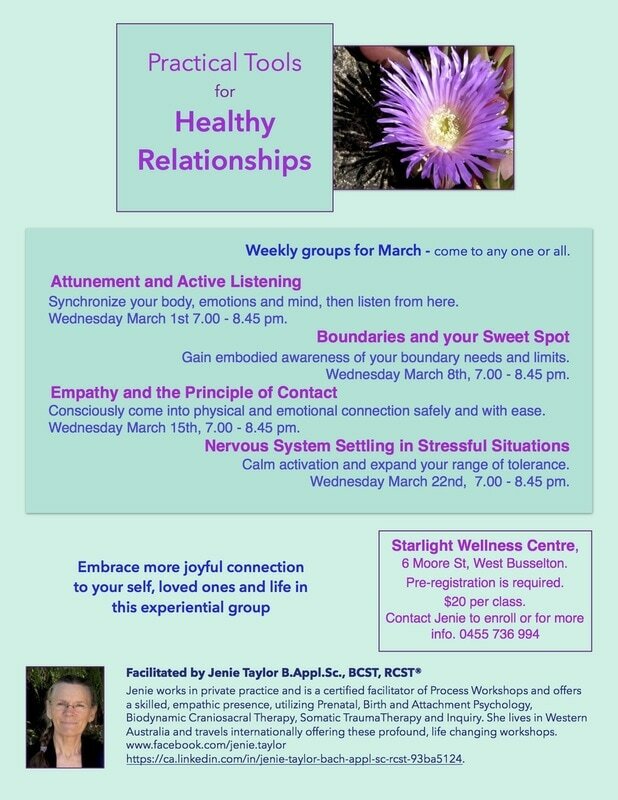 Contact Jenie for more information or just show up at the Pinakarri community room above the community kitchen. $10 per class. Come early to settle in. Hamilton Hill (Perth), Western Australia. October 26th - 29th, 2018. November 2 - 5, 2017 Auckland, New Zealand. 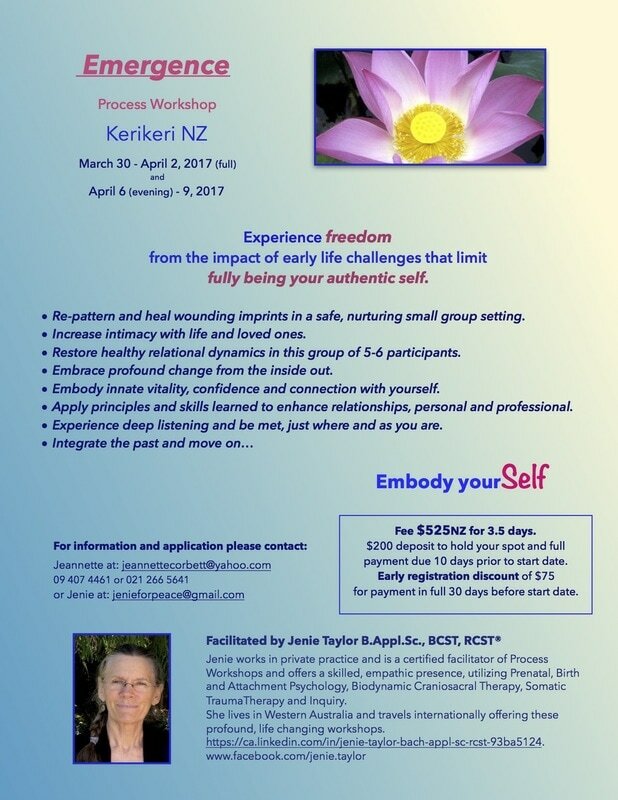 November 10 -13, 2017 Kerikeri, New Zealand. 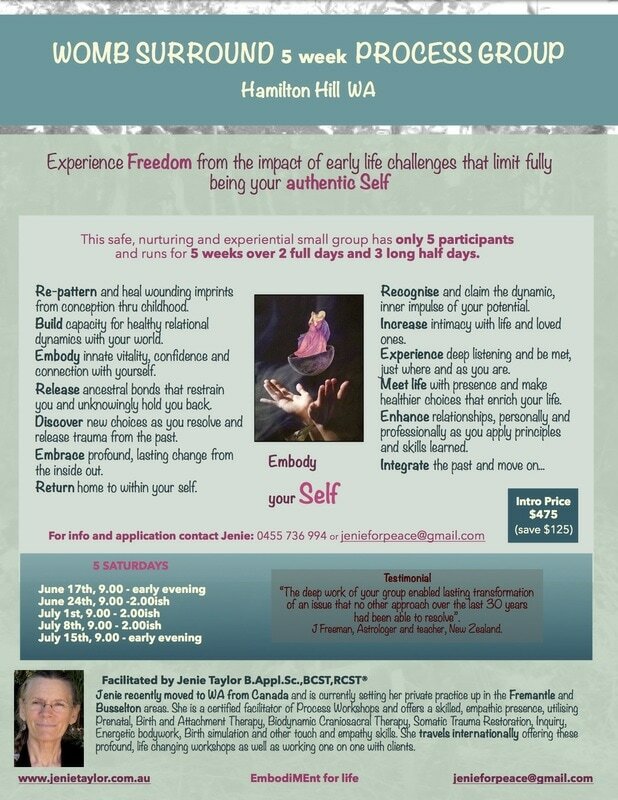 November 18 - 21, 2017 Kerikeri New Zealand. October 12th - 15th, 2017. Hamilton Hill.WA. Nelson, BC, Canada. August 21st - September 1st, 2017. 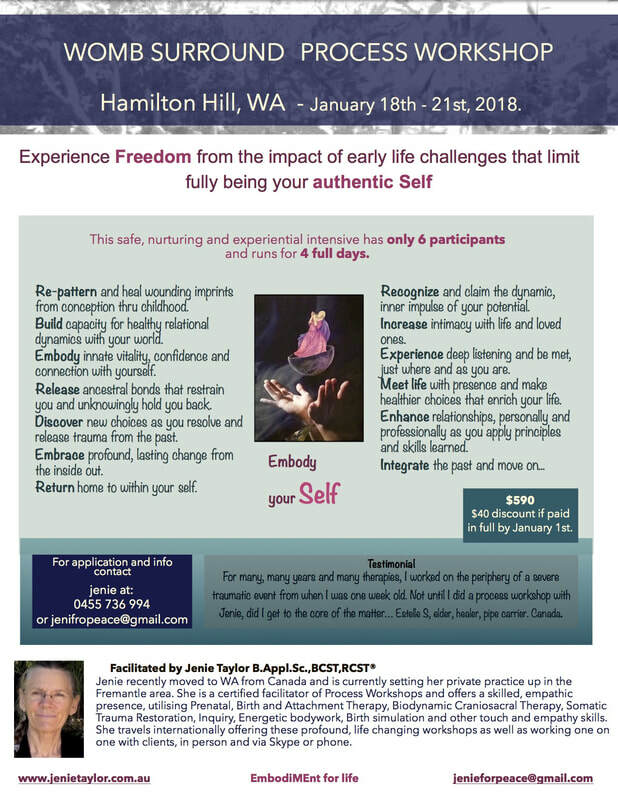 Learn to develop skills to facilitate healing for early developmental trauma in babies, children or adults in the pristine mountains surrounding Nelson, British Columbia, Canada. 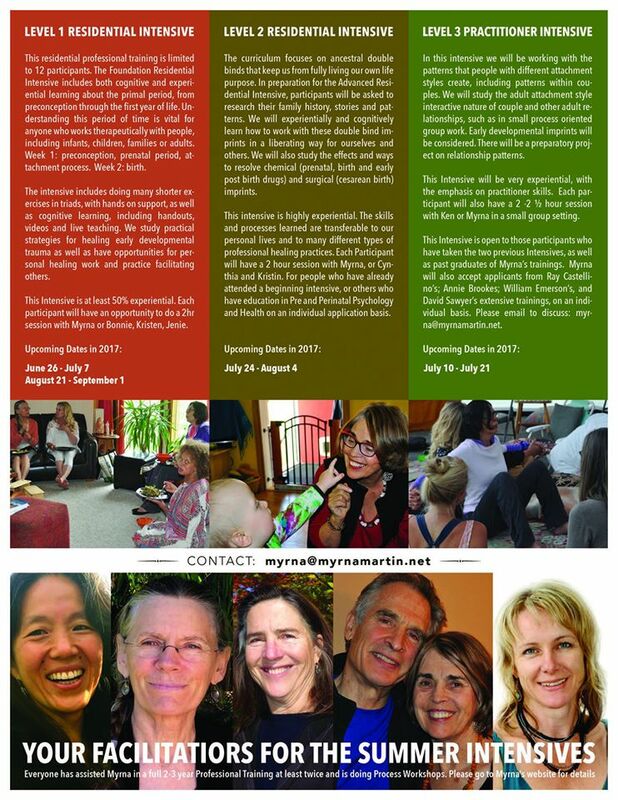 These residential summer intensives offer wonderful opportunities to explore your own personal experience in depth.